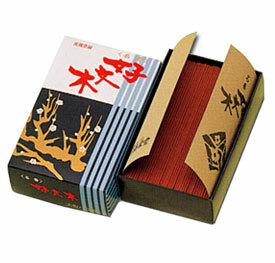 Kobunboku is an incredible sandalwood and herb incense that is particularly helpful for meditation practice. The translation for Kobunboku is "Plum Blossom". The Japanese word "Ko" means Nice, "Bun" means Elegant, "Boku" means Wood or Tree. The name refers to the cherished Plum Blossom Tree, otherwise known as "The Flower of Peace" in China. The blossoms of the Plum Tree have long been an essential ingredient in Japanese incense, particularly Baieido incense. Package comes labeled as "Plum Blossom, Kobunboku"